If you can’t quite afford the hefty price tag of Apple’s AirPods but still want a truly wireless experience, Anker’s Soundcore Liberty Air headphones offer a solid wireless experience on a budget. 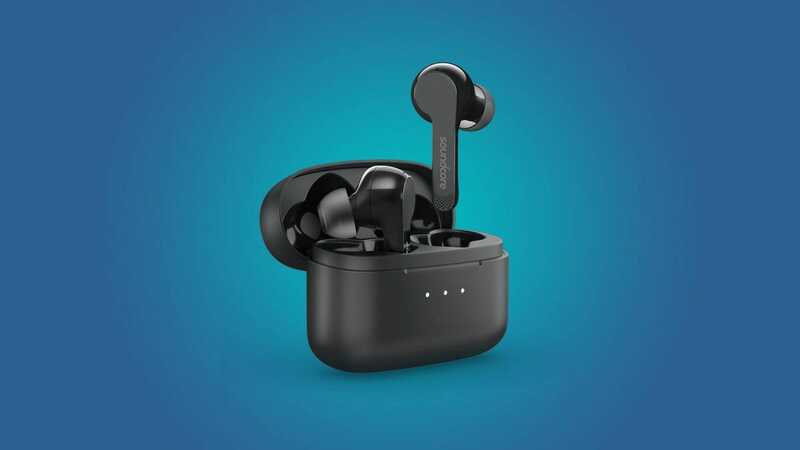 The market doesn’t want for AirPod alternatives, but what you’ll notice if you look over our roundup of AirPod alternatives worth looking at is that they’re as expensive (or more expensive even) than the AirPods themselves. That’s where the Liberty Air headphones stand out: they offer an AirPod-like appearance and functionality but at half the cost. 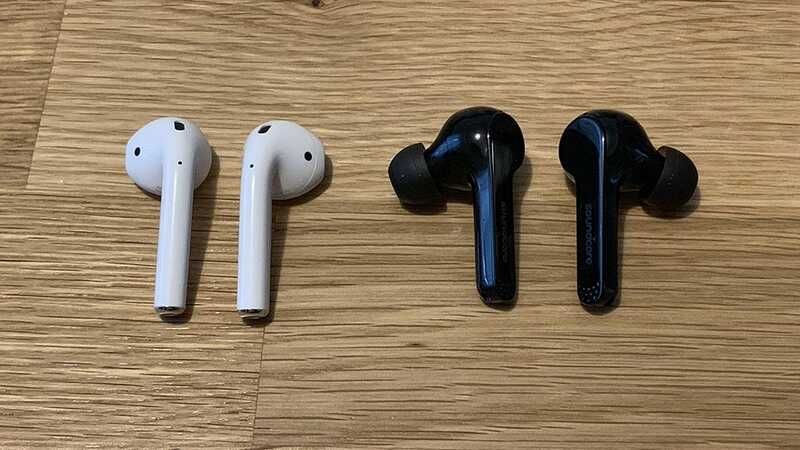 Let’s take a closer look and reflect on our time with them to see how they compare to the AirPods, and whether or not saving $80 over the cost of AirPods is ultimately a good value. When it comes to size, the charging case for the Liberty Air is slightly larger and thicker than the AirPods case, which was to be expected before I even received them—Apple really nailed it out of the park on the overall design and quality of the AirPods case, which makes the Liberty Air case just feel pretty cheap in comparison. However, in a vacuum, the Liberty Air case is honestly just fine, and it’s still very much pocketable and easy to handle. 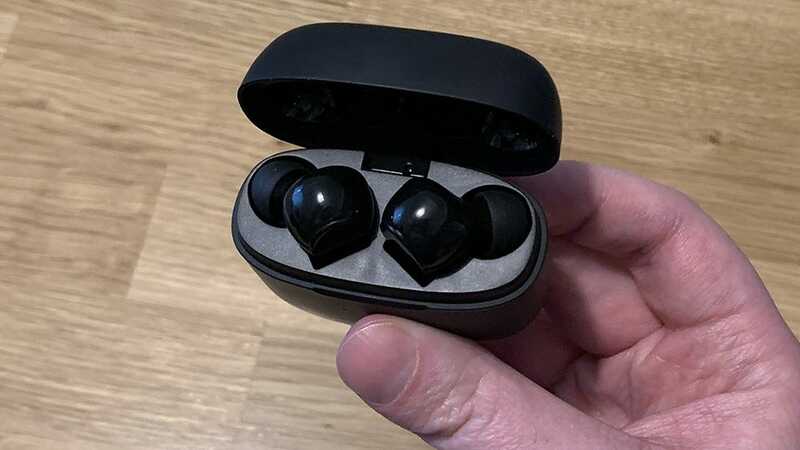 Plus, it opens up the same way as the AirPods case does, and each earbud also sits down in its own cavity, held there by magnets, just like the AirPods. One thing the Liberty Air case does have that the AirPods case doesn’t is a series of small LEDs that indicate the case’s battery level. That’s really nice to have. Unfortunately, the case charges via micro USB port found on the bottom. 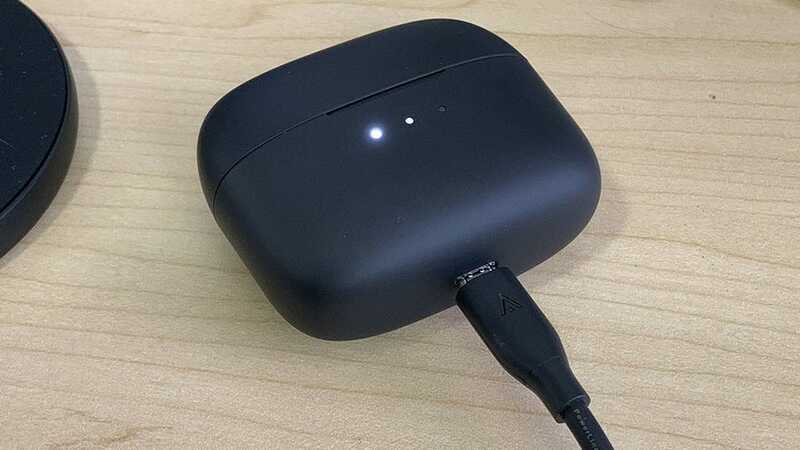 We understand not paying the premium to get a lightning port on there, but not going with USB-C at this point in time seems like an odd choice. 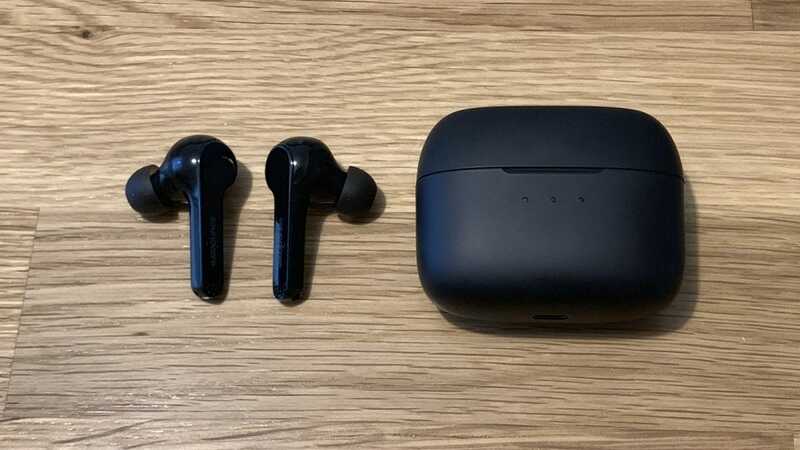 Speaking of charging, the headphones can be used for up to five hours of music playback, and the case can provide about 20 hours of total charging, which isn’t quite up to par with the AirPod’s 24 hours, but still a very respectable number of playback/charging hours. As for the headphones themselves, they’re much smaller than most other truly wireless headphones I’ve seen. 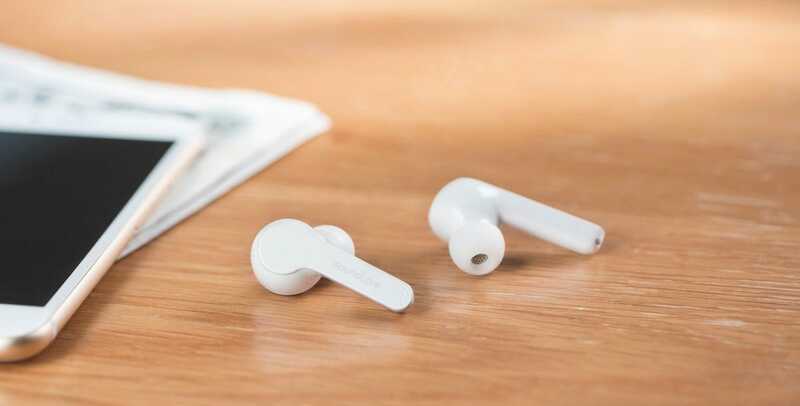 Instead of just being one big round blob of an earbud, the Liberty Airs have a much smaller footprint, thanks to the stalks that are reminiscent of the AirPods, which make more room for various internal components. Finally, it’s worth noting, that the version I took for a spin happens to be black but you can get a white bud/white case design—seen above—for the same price if you really want to keep the white-on-white Apple aesthetic going. One humungous difference between the Liberty Airs and the AirPods is that the former offers a more traditional earbud fit with the rubber tips that create a nice tight seal in your ear canal for noise isolation. This is my biggest gripe with the AirPods. I completely understand some people not wanting noise isolation so that they can still hear the environment around them, but that means I can’t use them on planes and in car rides, which account for about 80% of my headphone usage. The other 20% is for when I need to focus and drown out everything else around me, for which AirPods just don’t cut it. In light of that, I absolutely love the noise-isolation design of the Liberty Air earbuds. That said, there’s one downside to the good seal. 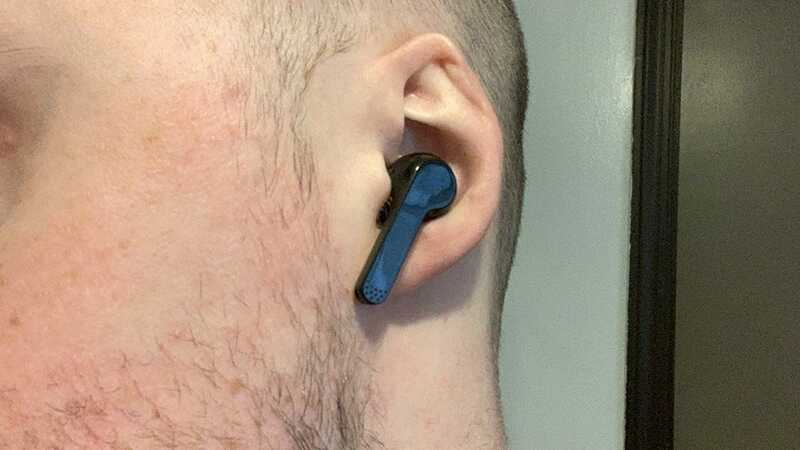 If you use the Liberty Airs for phone calls (like people do with the AirPods) having that tight seal isn’t really ideal. 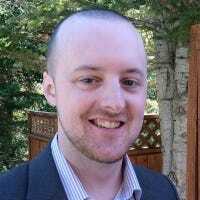 I’ve found that every time I talk, my voice reverberates back through my ears—it’s very similar to when you plug your ears and start to speak. Your voice ends up being ten times louder on your end. This is where AirPods have the upper hand if that’s an issue for you. When you open up the headphones and connect them to your phone for the first time, it’s absolutely not as easy as pairing AirPods. Instead, you have to use traditional methods of Bluetooth pairing, which means going into the Bluetooth menu in the settings and selecting the headphones to pair them. You also have to take the earbuds out of the case first before they’ll connect to your phone. It’s really not that big of a deal, but you definitely miss out on the killer convenience that comes with using AirPods. The headphones fit great in my ears, and they come with various S/M/L rubber tips. So everyone is bound to find a size that works well for them. And if you want to take it up a notch with the noise isolation, you can buy some premium foam tips that almost work like earplugs—they’re fantastic. As for operating the headphones while listening to music or just everyday use, it can be a bit confusing and inconvenient at times. For starters, the headphones have no proximity sensors, so music will continue to play even when you take out both earbuds—you have to pause the music manually. Tapping twice on the right earbud will play/pause music, as well as answer/end a phone call. Tapping twice on the left earbud will activate your phone’s voice assistant, as well as reject incoming calls. Tapping and holding for two seconds on the right earbud will go to the next music track. Tapping and holding for two seconds on the left earbud will go to the previous music track. These commands can’t be customized either, unlike the AirPods. As for sound quality, the Liberty Airs actually sound pretty decent, and they’re on par with the AirPods. Granted, you’re not paying the high price tag of the AirPods for great audio quality, but it’s nice to know that the Liberty Airs at least don’t sound worse than the AirPods. I’ll say it right now: If you enjoy saving money and also want noise isolation, then Anker’s Soundcore Liberty Airs are a fantastic buy, no doubt. You’re paying 50% of the cost of a pair of AirPods and getting 75% of the value. It’s up to you to decide if it’s worth paying 50% more to get the whole AirPod experience. 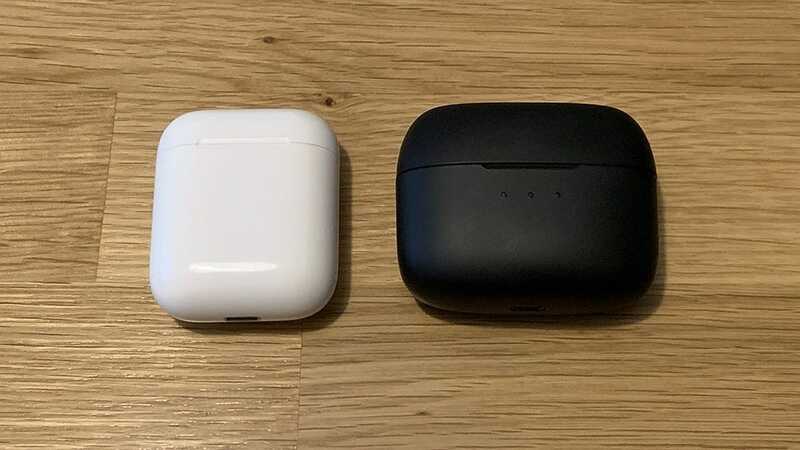 The Liberty Airs are half the cost of a pair of AirPods and it shows in some of the design choices (like the micro USB port instead of Lightning or the lack of propriety connectivity). But ultimately all you’re missing out on are some of the convenience factors that really aren’t a huge deal anyway—especially if you’re shopping on a budget. Ice cube molds don’t have to be the same old tried and tested format to be worth purchasing. We’ve checked out the best quirky novelty ice cube molds out there for the perfect Christmas gift.